DP: At Newcastle Noir in May, I was struck by your account of making the most recent Shetland series. I watched it straight through on Amazon Instant Video and found it to be amongst the most rewarding TV of recent years. But your TV break actually came long before, with Vera. How did it happen? AC: The first book in the Vera series was called The Crow Trap. My editor thought it would be my breakthrough book. This was before the days of social media and e-sales , and they forgot to put it in the catalogue. AC: It didn’t sell. There were lots of paperback copies floating around remaindered and charity shops, and one of them was in an Oxfam shop in North London. And someone picked it up and took it on holiday — Elaine Collins, an executive at ITV Studios. They were looking to replace Frost on a Sunday night, and she was specifically asked to search for something with a strong female lead. DP: I don’t doubt there was a good slice of luck involved, but Elaine Collins must have been hunting high and low to fill that Sunday night slot. She must have been buying and reading books left and right, and your book clearly hit the mark. AC: Yes, she was keen quite quickly, because there weren’t that many books with traditional detectives who were also middle-aged women. DP: Did it help that it had a distinctive regional setting as well? AC: I think that made the production more tricky, because when you film away from the city, you have to bring everything with you — technical crew, equipment and so on. You have to put people up in hotels. With Vera, you’re bringing [lead actress] Brenda Blethyn up to the North East for six months of the year, from Kent. So it’s an expensive undertaking, and a mark of the commitment by Elaine that she felt the series had to be filmed where it was written — Vera, and later Shetland. Elaine championed both. DP: That’s wonderful. I believe they film near to where you live; do you join them much on location? AC: I’ve become really good friends with Brenda so I go more for the social side. They rehearse, they take the scene from one perspective and then from another … it’s interesting because you never look at TV quite the same way again once you see how it’s put together, but I wouldn’t want to spend all day there. DP: I was once an extra on a film shoot. Very early start, lots of standing around in the cold … Far from glamorous! AC: It shows the skill of television actors that they can be there, they can be cold, and suddenly they’re performing, in character. Brenda is such a professional, she always hits her marks, always knows her lines, take after take. AC: The whole theme running through the first Shetland book, Raven Black, was what it means to be an outsider and how you can belong but not belong. The way of doing that was to make Jimmy Perez a Fair Islander. Although Fair Isle is part of Shetland, most Shetlanders see it as distinct and never go there because of the horrible boat trip. And the other way of doing it was to give him that Spanish ancestry because there was a wreck off Fair Isle called El Gran Grifón, which was an Armada ship. Apparently the boat tilted so far over that the mast fell ashore. There were 60 survivors who managed to climb out, so it’s not impossible that they formed a small Spanish community and married local girls. AC: He would have had a jumper if The Killing hadn’t been on before. DP: I think the pea coat is better [for him]. I love it that it features the traditional black anchor buttons, too. Connotes the Gran Grifón and the whole belonging / not belonging theme, maybe. DP: Douglas Henshall [the lead actor] doesn’t physically resemble the Perez in your books, but my goodness does he inhabit the character on screen. AC: He really does. I’ve been so lucky with both my central actors. They both read the books — which not all actors do. DP: Do you now see Douglas in your head when you write a Shetland book? DP: How much involvement did you have in the casting? AC: Very little. For Vera, I just got a call saying, “They’ve offered it to Brenda Blethyn.” She’d done a sit com called Outside Edge about a village cricket club that was really quite subversive, and of course [Mike Leigh’s] Secrets & Lies. I thought, Double-Oscar nominee? We’ll ’ave her! DP: It must matter a great deal, though. I couldn’t imagine what it would be like to have your book turned into TV only to then dislike what they did with it. AC: It worked incredibly well for me. I got invited along to the script read-through, which is where they all sit around and discuss everything. They came up to the North East to do that, using the old Swan Hunter shipyard offices as the production office, which was a lovely touch. Now they are making things there again — good TV. DP: What about the screen writing? How much did you want to be involved? AC: Actually, I didn’t. The last thing I want to do is meddle. I always say that it’s like giving a child up for adoption; you wouldn’t hand it over to someone you didn’t trust. But once you’ve handed it over, the new parents have to be free to bring up the child as they see fit. DP: You’ve never felt the urge to intervene? AC: Not really. Perhaps with tiny details … The script writer might write “Mum” when the character up there would say “mam”. I always do it tactfully, never in a big meeting. AC: That’s true, and in fact with the last Shetland series, the lead writer was Gaby Chiappe who’d done some of my favourite adaptations for Vera, and I did show her around Shetland — her and Clare Batty, the script executive. We visited a lot of different places and I introduced them to anyone up there who’d be helpful. DP: As a student in Edinburgh, I really wanted to go up for Up Helly Aa … but January’s not the easiest time to visit Shetland! AC: No, it’s not … I introduced Gaby and Clare to coast guards, a funeral director, my friend Ingrid who was a crofter, plus Jim — the Harbour Master at Sullum Voe. We’d end up having a proper Shetland meal — vegetables from the garden and fish that Jim caught. That allowed them to get a flavour of the island very quickly, because they were only able to spend two or three days up there. DP: I can’t say how much I enjoyed that last series. It felt so immersive and harmonious — the way the music, actors’ voices and landscapes all wove together … there was something mystical, almost magical, about it. AC: It benefitted from a longer-than-usual pre-production period. BBC Scotland had commissioned it at the end of Summer and filming didn’t begin till the following Spring. Elaine [Collins] is a perfectionist. AC: And it’s been great for the Shetland tourist industry. DP: I’ll bet; I want to go there! Very quickly, what other TV programmes do you enjoy? 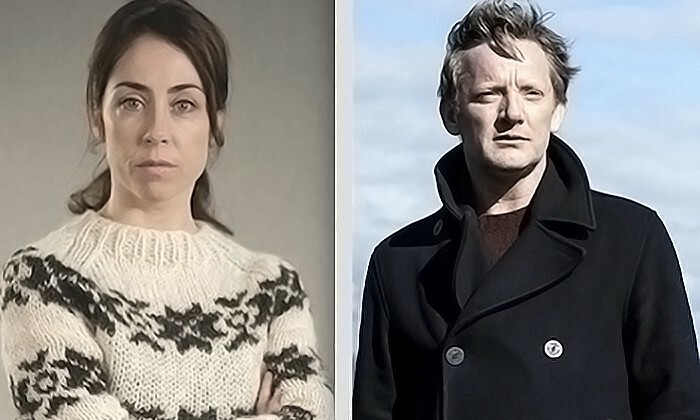 AC: I enjoyed [Welsh crime drama] Hinterland. 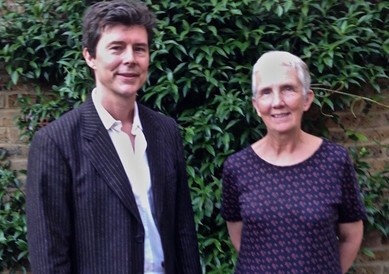 DP: And a new series of Shetland is on the way … plus the new book, Cold Earth, of course. AC: That’s right, we’re launching that up there at Mareel [arts centre] in Lerwick, with thirty events across the UK to follow over three weeks! DP: There’s a tight schedule. Well best of luck for that, Ann, and thanks so much for taking the time to talk. 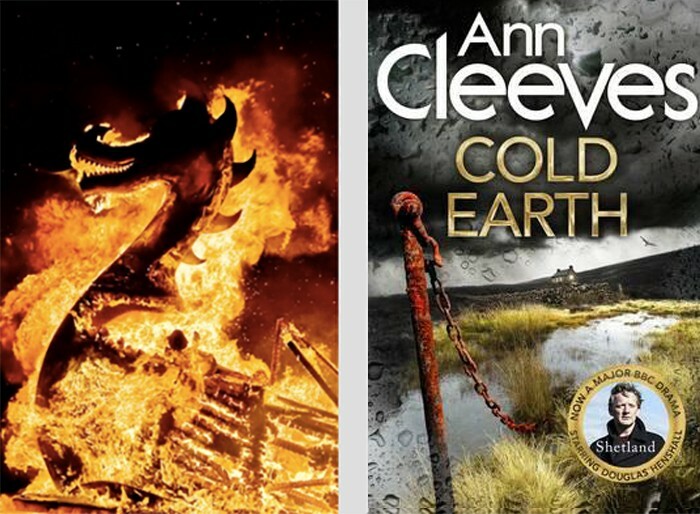 Ann Cleeves has published thirty novels over thirty years across twenty-five countries. 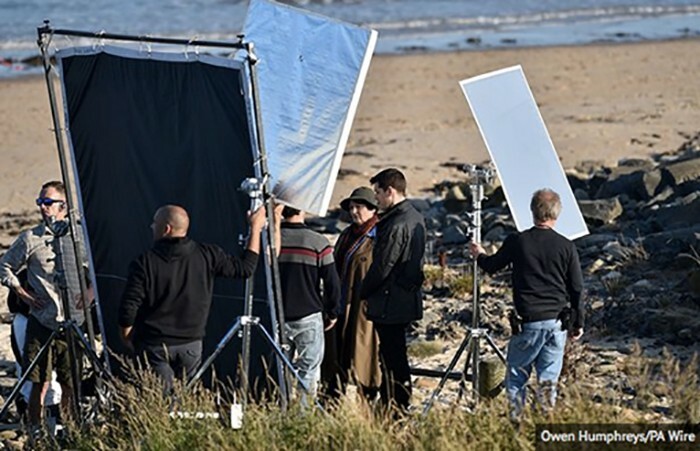 The TV adaptations of her Vera and Shetland series regularly attract 6–8 million UK viewers. She continues to live in Northumberland and visits Shetland on average four or five times a year. Her latest book, Cold Earth, is out with Macmillan on 6th October. 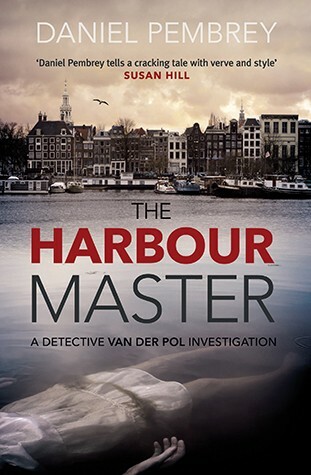 Daniel Pembrey’s debut Amsterdam detective novel The Harbour Master just launched with No Exit Press and is available as an ebook for a specially reduced price of 99p until November 8th. The Harbour Master print edition will be available on November 10th.